Krisztina Kancsal was born in the small town of Hahót, Zala county in western Hungary. Her parents had been born in nearby towns; her mother, Téréz Vörös, in Pölöske, her father , István in Gutorfölde. They married in 1893 in Hahót. Krisztina was born a year later, followed by brothers Gyula and István in the next few years. A sister, Irén was born in 1901 but died a few months later. Téréz died in 1903 leaving Krisztina with two small brothers to care for. Julia Lazór Kancsal with children and step-children. First row, 2nd from left is Krisztina and Juliz Lazór . Her father married Julia Lazór later that year. In 1904 daughter Ilona was born. She died before her 1st birthday. Two more daughters and three sons followed. Krisztina’s father worked as a blacksmith and the family struggled to make ends meet. When her brother István was about 16, stepmother Julia kicked him out of the house as there was not enough money to feed the large family. István walked to Budapest. Since he did not have shoes he would walk through pastures and warm his feet in cow patties. He found work repairing typewriters for Béla Édes, eventually starting his own metalwork businesses. 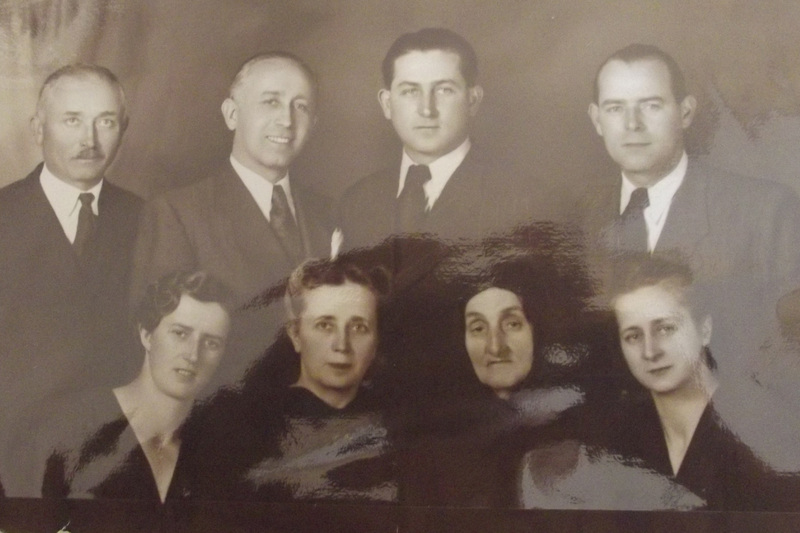 Click here to learn more about the István Kancsal and Terez Vőrős family.